The iPod is a special product that Apple owes a lot to, but everything must come to an end, and as Apple ends the iPod Nano and Shuffle series, it's definitely the end of the line for the iPod. 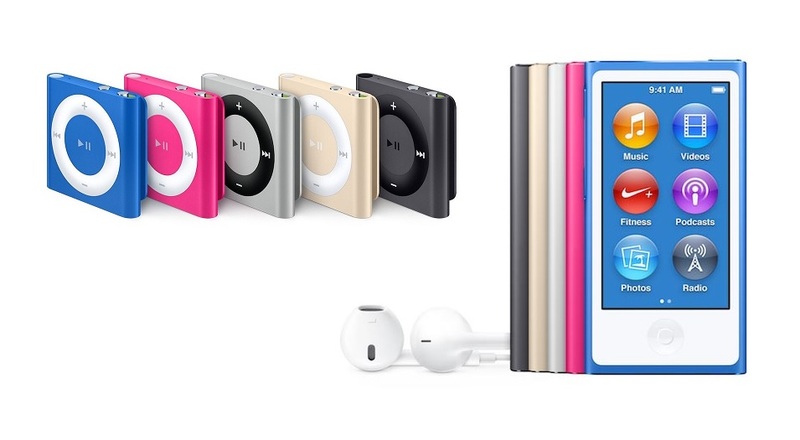 The iPod Nano and the Shuffle were the last survivors from the "iPod" era, and are about to be gone forever, as stores clear their stock and sell their remaining units. From now on, only the iPod Touch survives, though technically it would be better to consider it a WiFi-only iPhone than an iPod. I'm sure lots of fans will miss the actual iPods, but no one can say this comes as a surprise, as Apple itself made it clear that the iPhone would make the iPod obsolete, and the fact that these two last remaining iPods haven't been refreshed for years - as they were simply waiting for their mercy killing that Apple now did at last. Truth is, most people these days won't do without a internet connection, either to listen to spotify or other streaming services, or simply to share what they're listening with the world, and the iPhone is much better suited for that.